The most important lesson I learned in The Product Mentor program with Jeremy and Zoe was that Product Management has a language. That I spoke that language every day but my grammar needed some work. In more precise terms, my prioritization process factored in the things that it should, I just didn’t know how to translate it to ROI and present it logically. “We don’t do ROI assessments” was what I had been told at my company. I now know otherwise. First we began by creating a data driven roadmap. This required separation and aggregation of data at various levels to assess the value of each feature and determine whether it could translate into opportunities. Following this, we performed an ROI assessment on features that were already launched with a fresh set of eyes. The key here was to identify what I now know as “Key Performance Indicators” i.e. how do you know this idea is any good – how do you measure its potential? This was a critical step because it dictated the value a new idea brought to the business. Sometimes the value was in retaining business, sometimes in increasing it, sometimes there was no value at all – yet in the end some ideas remained. I was able to identify how my business measured the value of an idea and associate a $$ amount to it, positive,negative or zero – depending upon whether the cost of the idea outweighed its projected earnings. All ideas were rated on some additional key criteria apart from financial gains/losses such as: customer value, regulatory requirement, ease of adoption, whether it was a differentiator for us in the market or not. Because the reality was that, while sometimes there was no gain directly from an idea, there was a bigger driving force that was not financial at all on the surface but translated into a business need. The hardest step was assigning a weightage to each criteria in calculating a final ROI. This is where a regulatory mandate with no financial gain suddenly scoring a 5 on the regulatory requirement criteria shifted the overall priority for that idea even though there was no gain, only a cost to pursuing it. The ROI was finally a number but not a dollar amount. Just a ranking that factored in numerous criteria with specific weightage. And suddenly I knew why I had made a decision many months ago! Finally – ROI wasn’t the final factor in making a schedule out of these ideas – it was also the ability to use pockets of available time across multiple teams and the desire to reach some key launches by specific industry events. This is driver for my business area. It may be different for another industry. These are key drivers/criteria for us to prioritize internally for our product. These can be expanded/changed to suit the product and its drivers. Any added complexities/dependencies are noted here. The time window for an earnings calculation is really what might be relevant for the mindset of your company. Note: here, features that were net loss, got assigned a score of zero. The weightage above is only a sample, you must adjust it to find the right blend for your product and your current industry trend. 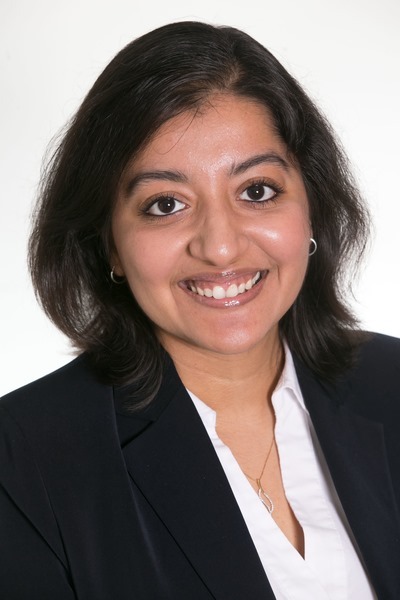 As a part of Nasdaq’s US Options team, Roli Bhotika leads a team of Product managers, creates business roadmaps, sets the strategic direction, and makes prioritization decisions for ISE’s core options trading platform. She is focused on building and executing business strategy with a long term cutting edge vision for trading products. Roli enjoys keeping abreast of industry trends, concerns and market structure issues.